Pediatric Dentists are dedicated to the oral health of your child from infancy through the teenage years. Infants, toddlers, children, and teenagers all need different approaches in dealing with their behavior, guiding their dental growth and development, and helping them avoid future dental problems. A Pediatric Dentist has an extra 2-3 years of specialized training to meet the needs of children, and this additional training provides them with knowledge of treatments available for a wide variety of children’s dental problems. 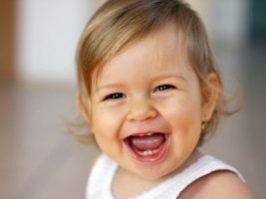 Pediatric Dentists also study child psychology so they can understand your child’s needs from the child’s perspective. A Pediatric Dentist is trained on how to make their patients feel more comfortable about the treatment that they are receiving and how to make the experience more pleasant and not as fearful. Additionally, a Pediatric Dentist is trained and qualified to treat special needs patients, such as developmentally delayed or physically challenged children. There are many areas of prevention and care that are unique to children that a Pediatric Dentist is specifically trained to take care of, and this is why you should choose a Pediatric Dentist for your child’s dental care, just as you chose the Pediatrician for your child’s medical care. Pediatric Dentists and Pediatricians both recommend that your child have his/her first dental “healthy baby checkup” by 1 year of age. The first dental visit for very young children is usually short and involves very little treatment. This visit gives your child an opportunity to meet the dentist in a non-threatening, friendly way and become comfortable with the doctor, staff and procedures. During the exam, we will check all of your child’s teeth for decay, examine your child’s bite, and look for any potential problems with the gums, jaws, and oral tissues. 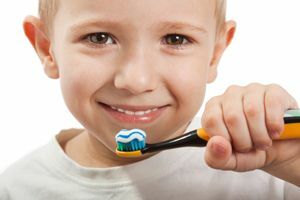 For the very young, we will clean teeth with a toothbrush and fluoride. Older children will likely have x-rays taken along with a polishing and fluoride. The dentist and staff will educate parents about oral health care basics for children and discuss any dental concerns and answer any questions. You will be instrumental in teaching your child good dental habits at an early age, so please ask us about any concerns that you have.